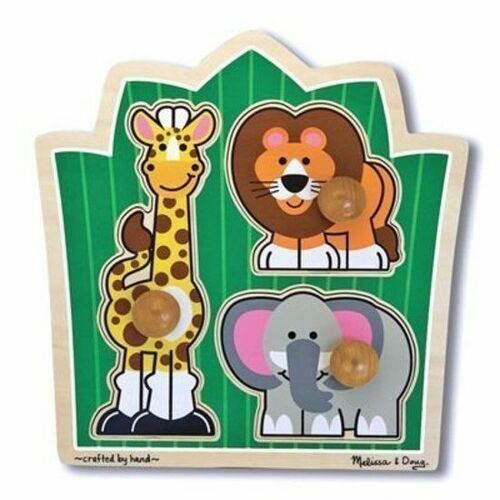 Standing against a lush green background, a lion, an elephant and a giraffe are waiting to play. 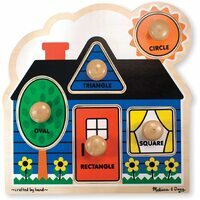 Extra thick wooden puzzle includes three pieces, with jumbo wooden knobs for easy grasping. Full-colour, matching pictures appear underneath each piece. Encourage eye-hand, fine motor and visual perception skills.